This text is published alongside BARBARA BALFOUR‘S Living & Dying exhibition. the one hand, and dying, on the other. detect this? When does this become that? the introduction of colour changes everything. 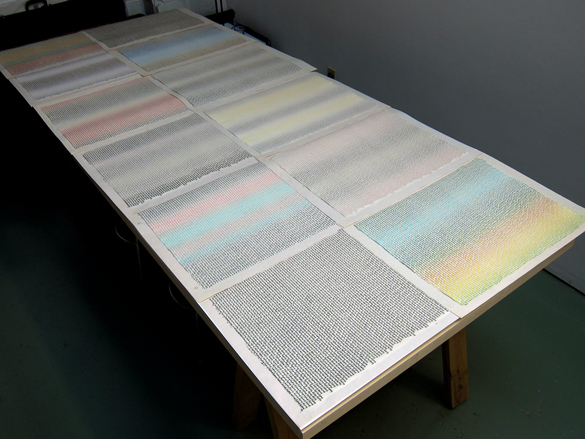 BARBARA BALFOUR is a Toronto-based artist who has exhibited prints, multiples, and installations, in addition to undertaking curatorial and professional printing projects. An associate Professor and Head of the Print media area in the Department of Visual arts at York University, she teaches theory and print-based studio courses. Her current practice, supported by a SSHRC Research/ Creation grant, deals with artists’ writing, within and parallel to art production. Other research relates to notions of selfishness, reproducibility, and mortality. To my parents, James and margaret Balfour. To my mother, who believed we all were living too long, and to my father, who never wanted it to end.